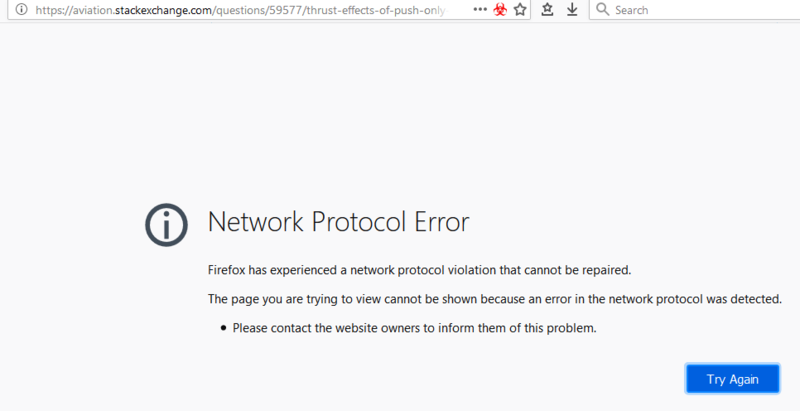 I get the error shown below while browsing on Firefox. If this is not the right place, let me know; it says to contact the website owner. However, the post worked fine after trying again, and it didn't happen just the once (different posts/pages). If it is not just a Firefox issue, feel free to update the tags. Browse other questions tagged support error-message firefox . myOpenID Delegation for StackOverflow.com, what did I do wrong? Why do the filters now filter out questions with answers?